﻿ GD-700 Automatic Linear Sharpening Machine-Dongguan Qiandao Precision Machinery Manufacture Co.,Ltd. This machine is mainly used to grind various angles of straight knife cutters. Suitable for various types of tools in the furniture, printing, textile and other industries, can also be used for HSS tools oblique cut. 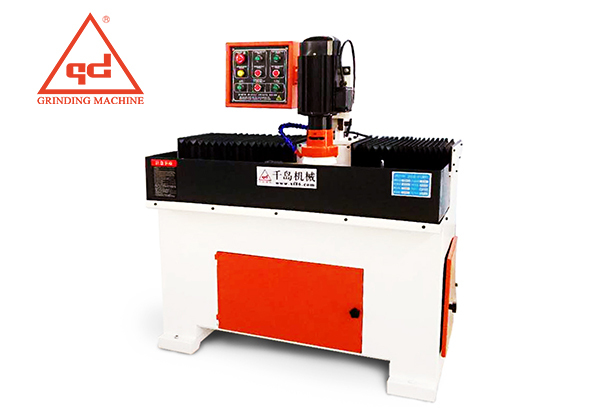 The machine is mainly consist of 6 parts: machine body, working table, operating slide, motor, grinding head, electric part. Each part is compact in structure and beautiful in appearance. Can grind 4 blades at the same time. The grinding head adopts automatic feeding with the stable average speed, to ensure the unique advantages of the tool, such as equal height. It's widely used in the production of furniture and straight knives industries.